There are at least two instances in the Sherlock Holmes stories when we come across a mention of quarter day. Just what is quarter day, and what is the significance with regard to these two stories? We explore the origins and history of quarter days, cross-quarter days, and why the real estate market had such an impact on calendars and ultimately played into the plots of "Wisteria Lodge" and "The Resident Patient." Please leave us a rating and review on iTunes or Google Play, and consider supporting our efforts through Patreon or PayPal. Publisher Info. : Washington, DC: United States Marine Band. 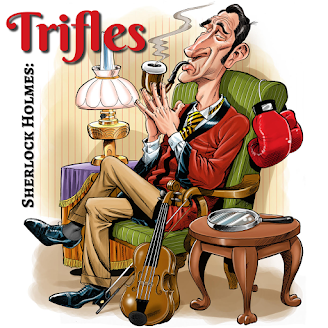 Narrator: [00:00:03] Welcome to Trifles, a weekly podcast about the Sherlock Holmes stories. Clive Merrison: [00:00:08] It is of course a trifle, but there is nothing so important as trifles. Narrator: [00:00:14] Yes, the Box was Cardboard, the Detective was Dying and the Bridge was Thor. But there are so many other details to pick apart in the stories. Jeremy Brett: [00:00:23] Pray, be precise as to details. Narrator: [00:00:26] You know the plots, but what about the minutiae? Have you ever stopped to wonder why James Phillimore disappeared looking for his umbrella? Or just how parsley can manage to sink into the butter? Dennis Quilley: [00:00:38] You are very inquisitive Mr. Holmes. Jeremy Brett: [00:00:40] It is my business to know what other people don't know. Narrator: [00:00:45] Scott Monty and Burt Wolder will have the answers to these questions and more in Trifles. Clive Merrison: [00:00:53] The game is afoot. Narrator: [00:00:57] Episode 13: Quarter Day is at Hand. Scott Monty: [00:01:03] Well, welcome back to Trifles, the Sherlock Holmes podcast for fans that are interested in the details and the stories. I'm Scott Monty. Burt Wolder: [00:01:13] And I'm Burt Wolder always interested. Scott Monty: [00:01:16] Well, you're always interesting and see that's easy. The challenge is to try and do that week in week out show after show after show. How do you do it sir? Burt Wolder: [00:01:26] I don't know. Actually you know I've discovered a little of me goes a long the way. [LAUGHTER] I could take me or leave me. Scott Monty: [00:01:36] So you're like plastic man and we can see you're like silly putty. Burt Wolder: [00:01:40] That's exactly right if you leave me sitting around long enough I just leech right into the couch. You'll never get me out of there. Scott Monty: [00:01:49] Well here we are once again and we want to talk about quarter day since it seems to be a quarter day-ish over here. We are releasing this show on March 29th 2017. And when we when we try to look at the Sherlock Holmes stories, we try to look at what's going to inspire us on any given episode. And as you've heard if you've been following along here over the past few months, as we've been rolling out this show - and we are now in Episode 13 - that we've looked at things in the calendar that happened to inspire us. Things like the New Year or Valentine's Day or Ash Wednesday or St Patrick's Day. But then we also try to look at stories that occur during that particular time of the month during that during that month itself or a particular time within the month. And you've heard us speak about the Adventure of the Beryl Coronet for example and it was a snow-trodden February on Baker Street. And we also went through some of A Study in Scarlet references, knowing that Holmes and Watson had their meetings in in early January - or at least it was assumed that some things happened in early January. So here we come to March - late March - and there are two quotes from two stories that bring us to mind looking at quarter day. Scott Monty: [00:03:28] In the Adventure of Wisteria Lodge, we of course had John Scott Eccles who was invited out to Wisteria lodge to stay with Mr. Garcia and when he got out there there was no one at home. And so he decided that he should go to the real estate office - the local real estate office - and he says "I called Allen Brothers, the chief land agents in the village and found that it was from this firm that the villa had been rented. It struck me that the whole proceeding could hardly be for the purpose of making a fool of me and that the main object must be to get out of the rent. It is late March. So quarter day is at hand. But this theory would not work." So here is our first reference to quarter day. Burt Wolder: [00:04:29] Now quarter day goes back to the Middle Ages, I think. And it is sort of a marking point and a milestone in the calendar that comes at the end of a quarter. So the first quarter, January, February and March, ends in March. So the quarter day late typically called Lady Day in England is 25th of March. Then the next one around the same time in June - June 24th would be Midsummer Day, Michaelmass at the end of September, and of course Christmas at the end of December. And they tend to fall under religious festivals, they're roughly three months apart, close to the solstices in the equinoxes. Burt Wolder: [00:05:10] And they used to be very important I think in the Middle Ages - they ensured that debts and unresolved lawsuits didn't linger on. You know there were milestones against which certain items like that needed to be resolved. And school terms. When I was when I was first in England I could never figure out - because I had a member having a pocket calendar that told me about the Michaelmas term and I had absolute that it meant absolutely nothing to me - but school terms are typically organized around that and other things. Scott Monty: [00:05:46] That is true. That is true. Well, according to our good friends at Wikipedia- because that's the best we can do right now - [LAUGHTER] Lady Day, which which is March 25th - this would have been the quarter day that that Mr. Eccles was talking about. Lady Day was also the first day of the year in British Dominion's excluding Scotland until 1752 and that's when it was harmonised with the Scottish practice of January 1st being New Year's Day. So the British tax year still starts on Old Lady Day which is under the Gregorian calendar as April 6th, and it corresponded to March 25th under the Julian calendar. So that's that's where you get the the difference there. But and just for clarification it's not Old Lady Day. It's it's old Lady Day. And the dates of quarter days observed in northern England until the 18th century were actually the same as those in Scotland. Scott Monty: [00:07:03] And then there are also things known as cross-quarter days which are four holidays that fall in-between quarter days. You've got Candlemas on February 2nd, May Day of course May 1st, Lammas on August 1st and All Hallows on November 1st. Burt Wolder: [00:07:26] Now typically associated with Halloween. Scott Monty: [00:07:29] Yes. Yes exactly. So there's there's a mnemonic for remembering which day of the month the first three quarter days fall. Since Christmas is obviously pretty easy to figure out every quarter day is 20-something. Okay? And the second digit of the day of the month is the same number of letters in the month name. and some march the word March has five letters in it. Scott Monty: [00:07:59] So quarter day is March 25th. Burt Wolder: [00:08:03] Oh, I see. 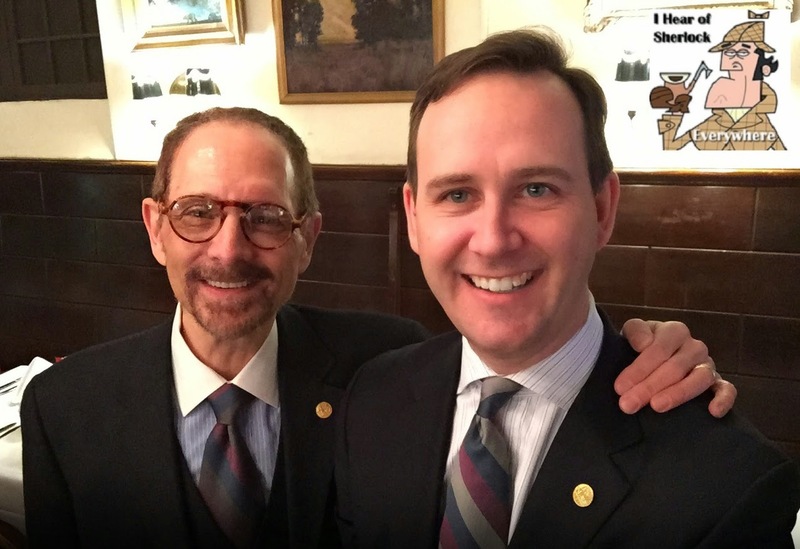 Scott Monty: [00:08:04] And June has four letters in it so quarter day and June is June 24th. And then September 9 so it's September 29th. So there you go. Burt Wolder: [00:08:19] Well now you tell me. When did the calendars align? I mean the new year the new year began on January 1 rather than March 1. It wasn't in the 18th - it wasn't there earlier than the 18th century? Scott Monty: [00:08:37] Well. I know the it says here Lady Day was the first day of the year in British dominions until 1752. Burt Wolder: [00:08:48] Yeah, but weren't the calendars aligned...? Scott Monty: [00:08:50] Well, the Gregorian calendar was was put into place in 1582. And that's when there were 11 days. There was a gap of 11 days that was made up for. Boy, that would have been a calendar-maker's nightmare that year. But that's that's interesting in terms of the harmonization of Scottish and British calendars. That's all I've got here from from Wikipedia is 1752 is when they were harmonized. Scott Monty: [00:09:39] We'll see. So anyway. [00:09:40] I guess I guess - you know just poking around - I guess it was late in the 19th century and early even in the 20th century, Russia apparently changed its calendar in February of 1918. Scott Monty: [00:09:51] Wow, that late? Scott Monty: [00:09:58] Well as as we mentioned in the in the St. Patrick's Day episode - in Episode 11 - it wasn't until the late 1950s that tax day was was changed from March 15th to April 15th in the United States. So a lot of lot of modernization going on. But what was interesting here is when we go back to that quote of quarter day and Scott Eccles and he said, "it struck me that the whole proceeding could hardly be for the purpose of making a fool of me. And the main object must be to get out of the rent." And he just to make himself look knowledgeable, you know it's late March, "quarter day is at hand." That's the day that rent was due to the landowners. And we're given to find that for all of his respectability that he's familiar with the "moonlit flit," something that Conan Doyle and his his Edinburgh origins would have been very familiar with. The moonlit flit - you know what that is? Burt Wolder: [00:11:08] I guess you decant the day before rent is due. Scott Monty: [00:11:12] Exactly! Get out of town by moonlight. Just clear the house out and you know, avoid your rent. Burt Wolder: [00:11:20] Well I guess in those days. Yeah I mean you were you were harder to find if you hit the road in the middle of the night. Scott Monty: [00:11:25] Yeah. Yeah. So you know clearly Eccles did not want to be caught up in anything as unsavory as that during quarter day. And then of course we have another reference to a very specific quarter day in "The Resident Patient." Of course you have Dr. Percy Trevelyan, who was looking for a place to practice medicine. 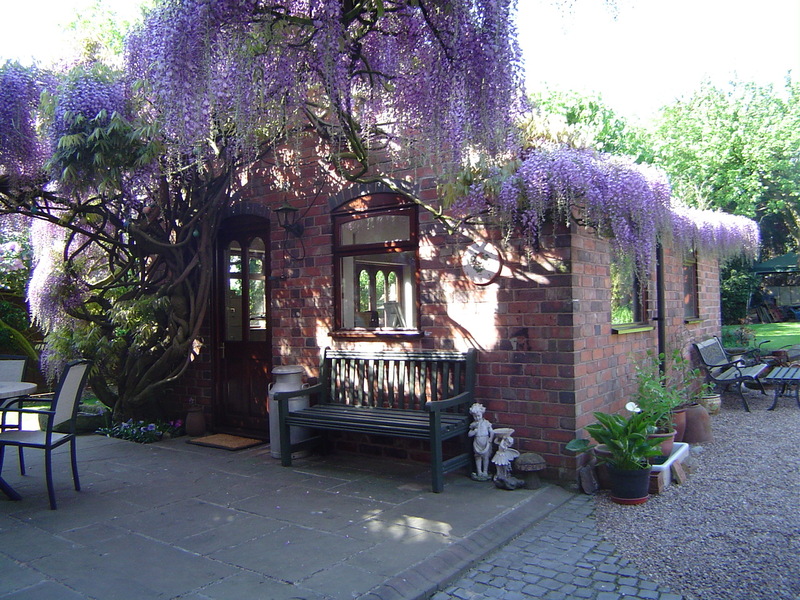 And along came Mr. Blessington with an offer to take up residence in Brook Street. And he - they worked out terms where Trevelyan was to give Blessington some percentage of the proceedings some percentage of money that he collected from patients. They negotiated on that and Trevelyan said "it ended in my moving into into the house the next Lady Day." So Lady Day would have been March 25th. You can - if you look at the potential for dating that story - it narrows things down considerably for the chronologist. But again, interesting that you know even a high end doctor would have had to have been beholden to landlords and payment of rent and such circumstances. Scott Monty: [00:12:48] It's amazing isn't it how these constructs once defined so carefully and broadly and with such broad strokes. People's lives and actions that today you can rent for a year, you could rent for three years, different terms on a lease, this, that and the other, 36 months... But in those days, you know, we're good for the next quarter, and we're good for a series of quarters. So I've got this place until. Michaelmas. Scott Monty: [00:13:20] And even with even with the royal family - I mean they're all if not outright landowners, they're hereditary landlords. I wonder how the collection of rent goes there, if that's still something that's practiced on a quarterly basis or if it's annual or what have you? Burt Wolder: [00:13:43] Oh that's a good question. I mean I know that you know most of Westminster obviously is still - not all of Westminster - is still owned by the Duke of Westminster. But it's not unusual to have lease holds that that would last 50 years, 100 years - maybe it's different today. I mean I've never been close to it but I remember reading about those characteristics. Scott Monty: [00:14:08] And you know this is again this is just one of those little phrases that if you're reading the story - even whether you're reading it in detail - you may gloss over it. And to just step back here and think about it for a little bit, and what the implications were, and what the practice was at the time. Just fascinating to think of these traditions and customs. Clive Merrison: [00:14:30] Is of course a trifle but there is nothing so important as trifles. Narrator: [00:14:35] Please join us again next week for another installment of Trifles show notes are available on SherlockHolmesPodcast.com. Subscribe to us on iTunes and be sure to check out our longer show. I Hear of Sherlock Everywhere where we interview notable Sherlockians, share news, and go into even more depth on certain topics. Peter Barkworth: [00:14:57] You take my breath away, Mr. Holmes. Jeremy Brett: [00:15:01] You know my method. It is founded on the observance of trifles. 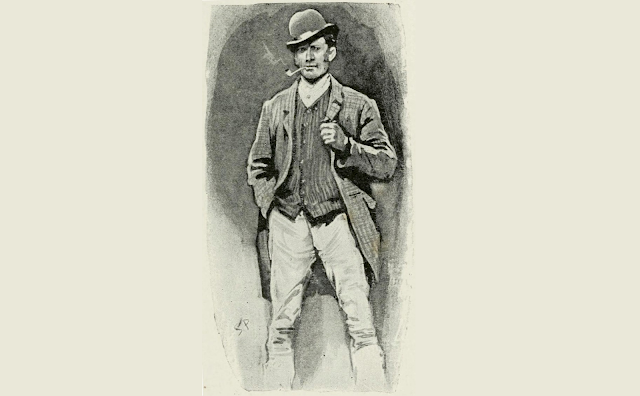 It is the first story in The Adventures of Sherlock Holmes, and it is also the first of what we might call the stories of legend: those Canonical tales that have inspired our imaginations far beyond the events that Watson wrote down. We already have Holmes and Watson, legends enough for anyone, but just as "The Greek Interpreter" reveals brother Mycroft Holmes, and "The Final Problem" outlines the evil figure of Moriarty, "A Scandal in Bohemia" introduces a character so compelling that she pervades our image of Sherlock Holmes forever after. Irene Adler, of dubious and questionable memory — to us, she is always "the woman!" Narrator: [00:00:01] Welcome to Trifles - a weekly podcast about the Sherlock Holmes stories. Clive Merrison: [00:00:05] It is of course a trifle but there is nothing so important as trifles. Narrator: [00:00:10] Yes the Greek interpreter interpreted, the Norwood builder built, and the Reigate Squire puzzled. But there are so many other details to pick apart in the stories. Jeremy Brett: [00:00:19] Pray, be precise as to details. Narrator: [00:00:22] You know the plots but what about the minutiae? How many disguises did Sherlock Holmes use? What were the street Arabs? And how did he get information from his underground network? Denis Quilley: [00:00:33] You are very inquisitive Mr. Holmes. Jeremy Brett: [00:00:35] It's my business to know what other people don't know. Narrator: [00:00:38] Scott Monty and Bert Wolder will have the answers to these questions and more in Trifler. Clive Merrison: [00:00:45] The game's afoot. Narrator: [00:00:48] Episode 12 Irene Adler: A Legend Is Born. Scott Monty: [00:00:55] Welcome back to Trifles - that Sherlock Holmes podcast that helps you delve into some of the details deep within the Sherlock Holmes stories. I'm Scott Monty. Burt Wolder: [00:01:07] And I'm Burt Wolder. Scott Monty: [00:01:09] And boy the water, she is deep. She is cold. She is Irene Adler. And this case -- boy if there isn't another character that springs out as prominently as Irene Adler -- and there really are just a handful in the Sherlock Holmes stories - the repeat characters the famous characters that get written about again and again and incorporated into every movie and television show and pastiche. The handful usually includes Professor Moriarty, Mycroft Holmes, Mrs. Hudson, and Inspector Lestrade. Now with Mrs. Hudson and Inspector Lestrade, they appeared multiple times in the canon. Mycroft, while he is Sherlock Holmes is only brother as mentioned in the canon, he appears in two stories but only two stories. And the same with Professor Moriarty. Technically he only appears on stage in one story but he is behind the doings of another story. He appears in The Final Problem and his hand is felt in The Valley of Fear. But it's Irene Adler who only appears in that single story. But because of that famous opening of being the woman - as considered by Sherlock Holmes - our imaginations have been inspired far beyond those events that Watson actually wrote down. So, thinking about this woman who pervades Sherlock Holmes's mind everafter -- or certainly our minds as she is always the woman -- we wanted to take our cue from a series of publications that Rosemary Michaud put out years ago called "The View Halloa," and she says a legend is born. Scott Monty: [00:03:12] "There's no doubt that Irene Adler fascinates us. But was she after all such a very big deal to Sherlock Holmes. Shouldn't we read just a bit skeptical of a woman who apparently enjoyed the company of a bounder like the King of Bohemia. Was Irene anything more to Sherlock Holmes than a valuable lesson in the perils of underestimating an opponent? A living breathing Norbury whose picture he kept in a handy place for those times when he felt that his swelling ego needed an ice pack. Scott Monty: [00:03:46] I think that's a that's a fascinating way to look at what for many of us or for many individuals has seemed like an infatuation. Why how do you think this all plays out. Burt Wolder: [00:04:01] Well I'm struck by the fact that when Conan Doyle came to -- as we know A Study in Scarlet appeared in print in 1887, and 1890 the second novel appeared: The Sign of Four -- and it was at this point that the cases of Sherlock Holmes began to grab popular culture because: Conan Doyle began placing the cases of Sherlock Holmes in The Strand Magazine in that first series of stories, which we then came to know as The Adventures (because that was how the compilation book was entitled). And each one of the stories with the exception of the first one has a title with the word "adventure" in there. And the very first story that very first case that Conan Doyle provided to the Strand magazine was "A Scandal in Bohemia." And here's a case where he chooses to present Sherlock Holmes. Against the backdrop of this remarkable and fascinating and interesting woman by far the most--well, certainly among the most fascinating and interesting and captivating and capable women in the canon, if not THE most fascinating interesting and capable people in canon. Burt Wolder: [00:05:18] First of all she says she is an artist of considerable skill. World wide world renowned Soprano. She was born in New Jersey homes as an entry about her in his in his elaborate dossiers. Scott Monty: [00:05:34] A foreigner. Again! Burt Wolder: [00:05:36] Yes she is a well-known adventurous. We hear that word adventuress introduced for the first time. Has the long alliance with the King of Bohemia as we know; frequently--comfortably adopts men's clothing because, so like Holmes is comfortable in disguise and uses disguise to participate in parts of society that she could not otherwise do easily. And in the end of course, leaves us by being a jump ahead of the great Sherlock Holmes. So for the first presentation of this remarkable character in what will become a long continuing series stretching from the 1890s to the 1920s, we see him against the backdrop of someone who presents as being smarter more capable and an equally mysterious. Scott Monty: [00:06:31] But do you think she wears men's dressing gowns? Burt Wolder: [00:06:36] [LAUGHTER] Only when she was smoking cigars. Burt Wolder: [00:06:41] Folks, refer back to Episode 10 for the inside joke on that one. No I think that's a really astute observation there because you know right off the bat we are -- she is she's not just presented as as well as a one-dimensional character. I mean when you really stop to think about it, there is a lot of depth or character. But again when when when presented against that backdrop I think it it it makes it even more fascinating and makes it more wondrous. Because yeah, we had our experience with Sherlock Holmes figuring out this transcontinental set of murders in A Study in Scarlet with chasing after lost treasure, and The Sign of Four. But this is really his first embarkation on the short story world on these formulaic short stories in The Strand Magazine written by Watson which will appear again and again. This is - for the larger public - their first introduction to Sherlock Holmes. Fascinating that not only should it be against an unconventional opponent of a woman who is an opera singer who dallied with a king, but it's it's a case for defeat. And sure for the for the average person, there may be a soft spot in their heart for such an individual --and given that she was a beauty for the typical male of course-- we would suspect that he harbored some secret love for her. But this isn't any typical male. This is Sherlock Holmes. This is a man whose heart was was negligible when it came to ruling his emotions - his head ruled. And to think that he would keep her photo around or keep that sovereign on his watch chain as a souvenir. It's probably a pretty powerful reminder to him of what went wrong. By way of circumstance, I just happened to be reading Warren Buffett's annual letter to his shareholders. Burt Wolder: [00:09:14] [LAUGHTER] Well isn't that funny. And I was just reading that about 10 minutes and I was astonished to find out that Mr. Buffett mentioned Irene Adler in there. Scott Monty: [00:09:23] Not your typical weekend reading I can assure you. Scott Monty: [00:09:27] Warren Buffett of course is the CEO of Berkshire Hathaway a large holding company. Burt Wolder: [00:09:31] The Oracle of Omaha. Scott Monty: [00:09:33] Exactly. This is a guy who drinks Coca-Cola for breakfast. He made a point in his letter about some past mistakes and specifically around the insurance industry. And of course we know that Holmes had experience with the insurance industry as well. One of the most winning women that he ever knew was was hanged for poisoning for children for their insurance money. But in this case in 1996 he says that Berkshire-Hathaway purchased Geico -- foolishly using Berkshire stock. A boatload of stock. Let's see... they.. sorry, that was to purchase General Reinsurance or so they acquired half of Geico they didn't already own. With cash then they used Berkshire stock -- a boatload of it -- to buy General reinsurance in late 98. The problem there is that like making a purchase earlier for Dexter Shoe, where they used stock for purchase, Dexter went out of business later that year and yet the stock ballooned to more than 12 times its original worth. OK. So when he made that purchase with General Reinsurance what it ended up happening is that it increased all of the outstanding shares of stock that they had. So by the time they had another opportunity and the insurance industry to make a purchase he'd made that cash again. Having learned from his mistakes and having kept those examples around of pain -- of paying only in stock and seeing the stock balloon later after a company went out of business -- and you know having having an increased the number of outstanding shares. So it's not unheard of for a very successful person to keep around memories of defeat, to keep themselves from falling into that same trap once more. Burt Wolder: [00:11:53] That's a very interesting example. The the interesting thing about --- one of the ways to look at this of course is from the standpoint of Conan Doyle: Conan Doyle made no secret of the fact that he'd never really thought much of Sherlock Holmes. I mean, he did from the standpoint of being a writer, Conan Doyle-- Sherlock Holmes is kind of annoying. First of all, you have to think up a plot. And I think Conan Doyle was reasonably eloquent about the fact that he found the time devoted to thinking up the plots challenging. But second of all, Holmes -- we've talked about this before -- Holmes is sort of a center-stage character when he is onstage. He needs to do interesting and fascinating things -- and so that's a bit of a challenge to come up with those kinds of things -- so for the first case, Holmes is a given since the series is all going to be about Holmes and Watson. BUT... here we have Irene Adler! An exotic talented artist allied with the King of Bohemia, a talented singer, a woman of the world -- but also a wronged woman. You know she's been pursued, and in some detail-- her luggage has been upset, her belongings have been ransacked. You know we get all of the details about that. So here is this lone woman admittedly remarkable talented capable, but at the mercy of this large, unfeeling force that then retains Sherlock Holmes. And that's a theme -- the wronge woman alone against great odds that comes back again and again in the canon. Burt Wolder: [00:13:27] But the second thing is that Holmes because he is Sherlock Holmes can figure out a way to get this remarkable woman to reveal to him the location of the thing that she cares most about, and it's the smoke rocket that causes her to reach without thinking for her most precious possession. So Holmes has insight into how this particular person would think and feel and react. And therefore, when you get to the end and you find out that she's on to him and a step ahead of him, it's even more galling -- and beautifully fascinating for the reader. And I think that's why we're we're captivated by Irene -- by being presented with someone who is an equal of this man and why over the years people have thought again and again and again about what their possible combination might have led to. Scott Monty: [00:14:20] Yeah and when you think about the the lengths that Holmes went to to get his prize -- first of all intuitively understanding what a woman would reach for in a time of danger. And he said to Watson a mother would would go for a baby, a married woman maybe for jewelry -- but he knew that this was something of value. So he was able to put himself in the in the mindset of Irene Adler. 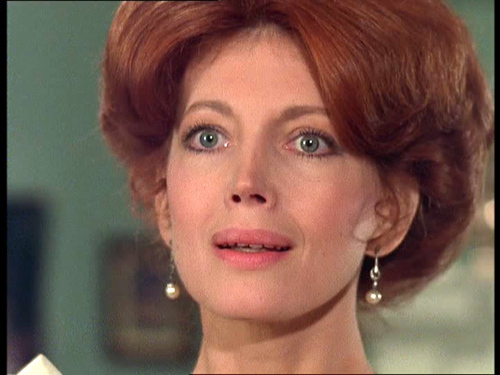 Burt Wolder: [00:14:53] Yeah exactly and I think it's the only time Holmes speaks admiringly about the beauty of the woman. It's not the only incident -- certainly one of the few -- she really is that dainty is sitting under a bonnet for the 1890s This is equivalent to. Burt Wolder: [00:15:11] Va-va-va-VOOM, Watson! Scott Monty: [00:15:15] And so you've got that ability to empathize to think like you're your intended prey. And at the same time you've got Holmes various disguises: he disguised himself as a nonconformist clergyman (again reference back to Ash Wednesday) and he also disguised himself as an ill-kempt drunken groomsman. So it has all the hallmarks of what we have come to know Sherlock Holmes as, not to mention getting Watson to help him come along and you know make mischief right. And yet --and yet -- he was defeated in all of that. And as clever as he was, there was someone -- and not just anyone -- but this fascinating woman who was cleverer than he. Clive Merrison: [00:16:10] It is of course a trifle. But there is nothing so important as trifles. Narrator: [00:16:16] Please join us again next week for another installment of Trifles. Show notes are available on Sherlock Holmes podcast dot com. Subscribe to us on iTunes and be sure to check out our longer show I Hear of Sherlock Everywhere, where we interview notable Sherlockian and share news and go into even more depth on certain topics. Peter Barksworth: [00:16:38] You take my breath away, Mr. Holmes. Jeremy Brett: [00:16:42] That is why I've chosen my own profession - or rather created it. For I am the only one in the world. David Burke: [00:16:49] The only unofficial detective? Jeremy Brett: [00:16:52] The only unofficial consulting detective. With mid-March upon us, we thought it was high time to investigate some of the Irish connections in the Sherlock Holmes stories. From the obvious to the subtle, we go from Belfast to Waterford to Skibbereen, across the pond to America, and back again. Short stories and novels alike, there are glimpses of the Emerald Isle in a number of hiding places in the Canon. Did we miss any? Well, you'll just have to tell us. Please subscribe to us on iTunes or Google Play, and consider supporting our efforts through Patreon or PayPal. Clive Merrison: [00:00:05] It is of course a trifle, but there is nothing so important as trifles. Narrator: [00:00:10] Yes Boscombe Valley was Mysterious, Shoscombe Place was Old and the Lodge was Wisterical, but there are so many other details to pick apart in the stories. Jeremy Brett: [00:00:19] Pray be precise as to details. Narrator: [00:00:22] You know the plots but what about the minutiae? Was Holmes more of a tea drinker or a coffee fancier? And what are all of the alcoholic drinks mentioned in the stories? Denis Quilley: [00:00:32] You are very inquisitive Mr. Holmes. Jeremy Brett: [00:00:35] It is my business to know what other people don't know. Narrator: [00:00:37] Scott Monty and Burt Wolder will have the answers to these questions and more in Trifles. Clive Merrison: [00:00:44] The game's afoot. Narrator: [00:00:48] Episode 11: Celebrations. Scott Monty: [00:00:54] [In an Irish brogue] Well, well, well, welcome to the Sherlock Holmes podcast Trifles where we talk about all the minutiae in the stories. I'm with Scott Monty. Burt Wolder: [00:01:05] I'm Burt Wolder. Scott Monty: [00:01:06] And we're going to get rid of this Irish brogue, lest they hit us with a sheleighleigh and take all of our Morton Downey records. Welcome back. This is the St. Patrick's Day celebration for Trifles, of course airing here on March 15th. In just two short days it will be March 17th - the day for the wearing of the green. Reminds me of our old pal Jack Benny, Burt. Burt Wolder: [00:01:33] Oh really. Scott Monty: [00:01:33] [AS JACK BENNY] Oh - oh Burt. Scott Monty: [00:01:37] And this is back when - this in the 1950s there was a show where they talked about they talked about tax day which of course is now April 15th. It used to be on March 15th. And Jack very succinctly recognized that. Scott Monty: [00:01:54] [AS JACK BENNY] "Why do they call the March 17th - or why do they dedicate March 17th to the wearing of the green when only two days before the government takes it all away from you? Scott Monty: [00:02:08] Well, we're not here to take away; we're here to give. We're here to give our opinion on -- what are we going to give our opinion on? Burt Wolder: [00:02:17] Well, on celebrations. But a good place to start is Irish things - ties to St. Patrick's Day, Irish influences in the Canon, and the odd thing, particularly for someone of Irish descent such as Arthur Conan Doyle - that Ireland does not turn up very often or indeed very favorably in the canon - Irish or Ireland. I know that there's obviously references to the country violent in his last bout but Ireland as a word doesn't pop up very often in the canon at all. I mean maybe three or four times - and for example one of these times is in the "Adventure of the Cardboard Box," when we're dealing with the case of Miss Susan Cushing. Who lived in Cross Street in Croydon and she receives a cardboard box, which upon opening she's horrified to find human ears apparently quite freshly severed and in trying to figure this out who could have done this sent this awful thing to a maiden lady of 50 as she has described. It's remembered that "when she resided Penge she let apartments in her house to three young medical students, whom she was obliged to get rid of on account of their noisy and irregular habits." Well now Conan Doyle would have known something about that. And one of these youths perhaps "owed her a grudge"... "some probability is lent to the theories, says Holmes by the fact that one of these students came from the north of Ireland. Scott Monty: [00:03:59] Those tricky Irish students - because the box was posted from Belfast. Burt Wolder: [00:04:05] Belfast, yes. Scott Monty: [00:04:05] Yes. And of course in that same story the other Irish cities of Dublin and Waterford are mentioned as well. But to your point that you know with Conan Doyle's history - and maybe it's worth spending a little bit of time on this- what do we know of Conan Doyle's Irish ancestry? Burt Wolder: [00:04:50] Draftsman and then engraver, and certain things like that. And of course Conan Doyle's Uncle Dicky Doyle was a famous cartoonist who was very well connected to Punch. Scott Monty: [00:05:01] And his mother married to Mary Foley Doyle. She was a staunch Irish Catholic. So. So he's...but of course, Conan Doyle himself was born in Edinburgh. So here - this is this is the wonder of the British Empire - you've got a Scotsman of Irish descent who moved to England and writes one of the consummate stories about an English detective. Burt Wolder: [00:05:33] Yeah. I mean years ago there was a popular one line joke at least among the Irregulars - and the joke was: an Irishman a Scotsman and an Englishman walk into a bar and the bartender says, "Hello, Sir Arthur Conan Doyle." Scott Monty: [00:05:49] There it is. There it is. Burt Wolder: [00:05:51] Yes but we see you know there are people of Irish descent who are at least one who was well thought of in the can or at least well identified in "The Adventure of the Illustrious Client" it's Sir Colonel James Damery. And Watson says "it's hardly necessary to describe him. For many will remember that large bluff honest personality that broad, clean shaven face, that pleasant mellow voice. Frankness shone from his great Irish eyes and good humor played round his mobile, smiling lips... the big, masterful aristocrat dominated the little room. Scott Monty: [00:06:28] When Irish eyes are smiling. I love that. I had never noticed that before - that's a really nice pickup. It's a trifle. Perfectly done. What else do we know of the Irish?. One that sticks out to me is from. I think it was "His Last Bow," where Altamont, who is of course Holmes in disguise. We know of that he was involved with an Irish secret society I think in Buffalo. Burt Wolder: [00:07:05] Yes. And he goes first to Chicago. It's the way it's his entree. Injury going after two years of work into the network of the evil spy Von Bork. He travels to Chicago, penetrates an Irish secret society travels to Buffalo, travels to Skibbereen in Ireland and then eventually becomes connected to one or. Scott Monty: [00:07:29] Yeah yeah. "Irish secret society of Buffalo." "Serious trouble to the constabulary at Skibbereen." And was known of course to Von Bork as an Irish American. So even to the Germans those foreigners looked suspect. And of course that secret society - *the* secret society that really figures prominently into one of the stories is the Scowrers - the Molly Maguires. Burt Wolder: [00:08:06] The Valley of Fear. Scott Monty: [00:08:09] Yeah. That that played a central role into into mischief, mayhem and like-minded folks sticking up for one another. And of course back in the mid-1980s when the great Irish Potato Famine happened, there was a large wave of immigrants moving from Ireland to the United States. In many cities, the Irish were looked upon with skepticism and were looked down upon. And you know became unwanted members of society - in some cases they really had to fight their way up. So it made great sense then for them to band together in actual real life as well as in the Valley of Fear in this kind of secret society. Burt Wolder: [00:09:03] Well also because the Irish came from a Western parliamentarian democracy they understood the operations in organizations of government and that's one reason why particularly in Chicago so many became prominent Alderman prominent politicians. In fact, the governor - whose name escapes me - but the governor of Illinois at the time was a very strong Irish descent and I think very supportive of Irish independence. Burt Wolder: [00:10:42] Oh no, you didn't. Scott Monty: [00:10:44] It's just been a thing that's been associated with Chicago for years. So again the suspicious foreigner combined with the Irish seemed like it was too good to pass up for Conan Doyle in that case. Burt Wolder: [00:11:00] And of course you know we can't ignore other prominent people of Irish descent in the canon such as Professor Moriarty. Burt Wolder: [00:11:11] Well Moriarty's an Irish name. In fact in some of my researches about Irish secret societies and Sherlock Holmes they discovered that there was a prominent family of Moriarty's in Ireland who were deeply connected to armed rebellion. Scott Monty: [00:11:34] Were they all named James? Scott Monty: [00:12:10] "I'm Spartacus! I am Spartacus. I'm Spartacus. I'm Spartacus! "[OVERTALK] "I'm Spartacus! I'm Spartacus! I'm Spartacus!" Clive Merrison: [00:12:23] It is of course a trifle but there is nothing so important as trifles. Narrator: [00:12:29] Please join us again next week for another installment of Trifles. Show notes are available on Sherlock Holmes podcast dot com. Please subscribe to us on iTunes and be sure to check out our longer show, I Hear of Sherlock Everywhere, where we interview notable Sherlockians, share news and go into even more depth on certain topics. Peter Barkworth: [00:12:51] You take my breath away, Mr. Holmes. Jeremy Brett: [00:12:55] It's a real pea-souper. You'll find Sherlock Holmes lounging in his dressing gown in no fewer than 14 of the original stories. And yet, its color changed from story to story. Sherlock Holmes's dressing gown was alternatively purple, blue and mouse — how can this be? We discuss the possibilities that scholars have put forth over the course of many decades and even add our own conjecture. Add in a quick primer on what dressing gowns are and what Victorian / Edwardian habits were that required them, and you've got the best podcast episode about dressing gowns and Sherlock Holmes you've ever heard. A tip of the deerstalker goes to Bill Hyder, BSI, whose 1995 BSI Dinner publication "TRIFLES" contained this very topic. Narrator: [00:00:04] Welcome to Trifles - a weekly podcast about the Sherlock Holmes stories. Clive Merrison: [00:00:09] It is of course a trifle, but there is nothing so important as trifles. Narrator: [00:00:15] Yes the Colourman was Retired, the Three-Quarter was Missing and the Client was Illustrious. But there are so many other details to pick apart in the stories. Jeremy Brett: [00:00:24] Pray be precise as to details. Narrator: [00:00:29] You know the plots. But what about the minutiae? Have you ever wondered why Sherlock Holmes had three different colored dressing gowns? Or what a Crockford is? Denis Quilley: [00:00:38] You are inquisitive, Mr. Holmes. Jeremy Brett: [00:00:40] It's my business to know what other people don't know. [00:00:45] Scott Monty and Burt Wolder will have the answers to these questions and more in Trifles. Clive Merrison: [00:00:53] The game's afoot. Narrator: [00:01:00] Episode 10: The Dressing Gown of Many Colors. Scott Monty: [00:01:05] Hello and welcome to trifles that Sherlock Holmes podcast about oh those many details in the canon some of which may have appealed to you and come to your notice others which may have gone right over your head. I'm Scott Monty. Burt Wolder: [00:01:21] And I'm over your head Burt Wolder. Scott Monty: [00:01:23] No never. You're always under my feet - under my thumb. I don't know where you are. It's nice to have you around - over, under, or wherever you happen to be. Burt Wolder: [00:01:32] It's nice to be round. And someday I'll be a triangle as well. Scott Monty: [00:01:37] Everyone is getting into shape these days and the shape I have chosen is a pear. That seems to be the easiest one. Well, we said that we would talk about things like Sherlock Holmes, his dressing gown - and you know it seems like a pretty standard kind of thing. You know you think about Sherlock Holmes and obviously when people picture Sherlock Holmes in their head, they think of him with of course the deerstalker hat and the curved pipe and the Inverness cape. But what about Sherlock Holmes at home? You know he wasn't wandering around the Baker Street suite of rooms with the deerstalker on or with the Inverness on, so how did he relax and kind of kick back? And we of course know that there is only one story in which we hear of Holmes getting a little comfortable and putting on his slippers. And that was in "The Adventure of the Blue Carbuncle." That's right. They had just come back from that frosty night out and they tracked down James Ryder and Holmes said, "Here we are," cheerily, as we filled in the filed into the room. "The fire looks very seasonable in this weather. You look cold, Mr. Ryder - pray take the basket chair. I will just put on my slippers before we settle this little matter of ours." And of course in the Jeremy Brett Granada version you had that wonderful image of him actually putting the slippers on by the fire as they came home. So a wonderful kind of homey experience. Burt Wolder: [00:03:13] I just wonder what it must have felt like to slide your feet into something that was so full of tobacco. Scott Monty: [00:03:22] [LAUGHTER] Well, do you think - do you think he saved the other Persian slipper for wandering around the house or did you think he had traditional house slippers? Scott Monty: [00:03:37] And there you go. Oh well... we know of course that Holmes, like many men of his age, wore a dressing gown. Burt Wolder: [00:03:48] Yes, well, it was a popular standard article of clothing in a world in which particularly in the chilly weather most of the heat is coming from a coal burning fire rather than from forced air heating and other things that people take for granted today and so one would wrap themselves up in a dressing gown and stay warm. But of all the articles of clothing, it is the one - now friends, you may not think anybody has gone through all 56 short stories for novels to identify how many times this article of clothing has been identified or an article of clothing. Well, you're wrong! Because we happen to know based on our sources that the dressing gown appears no fewer than 14 times. Burt Wolder: [00:04:35] In 14 different cases of Sherlock Holmes "The Beryl Coronet," "The Blue Carbuncle, "The Bruce-Partington Plans," "The Cardboard Box," "The Empty House," "The Engineer's Thumb," "The Final Problem," The Hound of the Baskervilles, "Lady Frances Carfax," "The Mazarin Stone," "The Naval Treaty," "The Resident Patient," "Man with the Twisted Lip, AND... The Valley of Fear. Scott Monty: [00:04:51] That's easy for you to say. Scott Monty: [00:04:55] Now these this is just the time that that Holmes himself wore a dressing gown, because I'm sure there were other mentions of dressing gowns in the in the Canon, right? Burt Wolder: [00:05:06] Oh I don't know. I don't know. That's just - oh no, yes this is Holmes's case. OK.
Scott Monty: [00:05:12] All right. So and it was it was not an uncommon and uncommon garment of the time. Burt Wolder: [00:05:19] No, not at all. Scott Monty: [00:05:21] And people getting comfortable after coming home from work is not a new phenomenon either. But typically - just for a brief primer here - the history of dressing gowns actually begins in the early 18th century with the introduction of what was called a banyon a loose fitting coat that can be worn by men in the confines of the home or at the office when fashionable jackets were too restricting. And of course the banyon got its influence from Middle Eastern and Oriental cultures. So you saw these colorful fabrics - silk and printed cotton or or even velvet - but it was a mark of being from the from the upper class. Right. So by the mid 19th century what we saw and the evolution of the dressing gown, it became more akin to what we know now as as the dressing gown. And it was really just relegated to home where it was used. Interestingly it was used equally by men and women. And it was usually more of a somber tone. And for the women it offered them again a little respite from the tightly corseted daywear; and for men it just became just something to keep warm in those days before central heating while not being in your shirtsleeves. 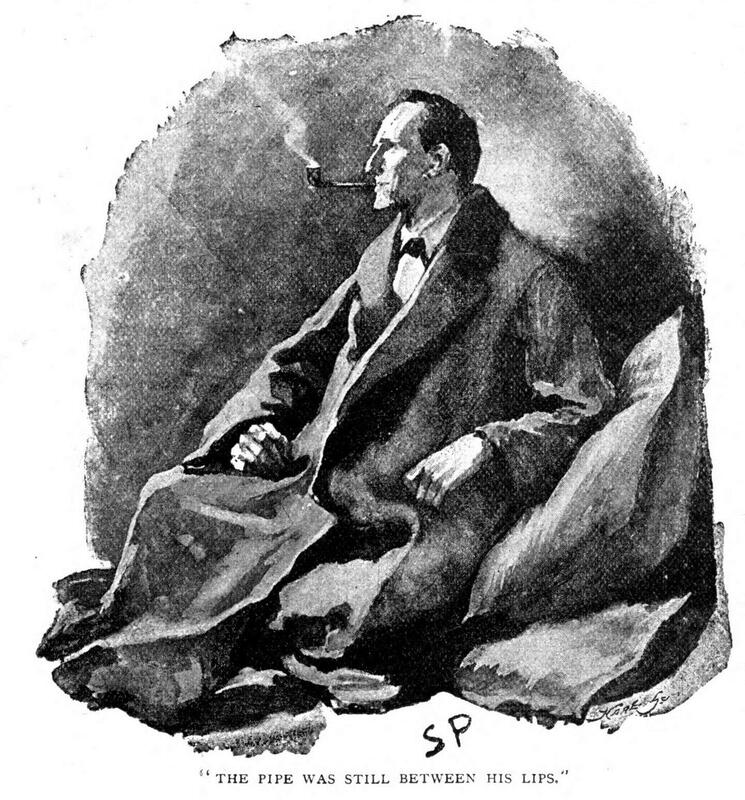 Now when it comes to Sherlock Holmes we have mentions of seemingly three different dressing gowns the first time we come across him in a dressing gown was in "The Man with the Twisted Lip." Or was that "The Blue Carbuncle"? Which one of those was published first? You know your handy cheat sheet there - your card. [BURT THUMPING ABOUT] you're knocking things over in your office on your way to. Burt Wolder: [00:07:22] I have to pull it out. Well that's the problem because my list will only tell me chronologically. Scott Monty: [00:07:29] It's "The Blue Carbuncle" that was published first in The Adventures of Sherlock Holmes. And in that one that was the famous purple dressing gown where Sherlock Holmes was lounging on the settee and he had Henry baker's hat hanging over the corner of the chair in his purple dressing gown. Burt Wolder: [00:07:47] Well now, does Blue (unintelliglbe)? Because because Twisted Lip is also in The Adventures. Scott Monty: [00:07:52] Yes but I think twisted lip happened - well not happened but was published after after Blue Carbuncle. Burt Wolder: [00:08:01] And then you had Twisted Lip has been chronologically dated June 1887 versus Blue Carbuncle which is December. Scott Monty: [00:08:08] Exactly - and that's going to figure in in just a moment. And then later on we discover Holmes and his mouse colored dressing gown and "The Adventure of the Empty House" and "The Bruce-Partington Plans." We know homes came back from the great hiatus in The Empty House in 1894 and then very clearly the Bruce-Partington Plans took place during that foggy third week of November of the seminal year 1895. So there you've got three colors of Holmes's dressing gowns and three or four different stories. What could possibly be happening here? Well, there are a number of assumptions along the way. So for example Martin Dakin assumed that the blue dressing gown - that's the one in the Man with the Twisted Lip. When we see Holmes in this dressing gown it is at an overnighter. They were doing a slumber party - with Mrs. Neville St. Clair. Burt Wolder: [00:09:13] With Mrs. Neville St. Claire?? Scott Monty: [00:09:14] Well that's a topic for a whole other episode. It could be the top ten most risque things said in the canon. No of course Neville St. Clair had disappeared. And they went out to his home in Lee and the county of Kent. Late one night after Watson discovered Holmes in the opium den and they got an update from Mrs St. Clair, and it was so late they couldn't simply go back to London. So they stayed there and that's where Holmes donned his dressing gown and set up a kind of an Eastern divan of a number of pillows and sat there and smoked his pipe until he came to his conclusion. So Martin Dakin thinks that the blue dressing gown in the Man with the Twisted Lip was borrowed from Neville St. Clair. So that's his solution for that and he didn't speculate about the other colors though which leads me to ask this question. Would Sherlock Holmes have traveled with his dressing gown in tow? Burt Wolder: [00:10:23] Well sure. I mean if I was going to a country house it would be one of the articles of clothing that I would pack perhaps even in preference for sleepwear. You know and that was in those days it wasn't unusual to have shirt stocks that were separate from their collars and cuffs. So the stock of the shirt could be worn more than once while you rotated - while you changed collars and cuffs. And people did not travel with the assortment. Most people did not travel with the assortment of toiletries and accessories and multiple changes of wardrobe that people tend to travel with today. Burt Wolder: [00:11:08] I think it would be very unusual for for someone's wife to land even a stranded guest one's husband's dressing and so that you could sit and smoke your pipe and roll around and I mean it's sort of a personal personal garment. Scott Monty: [00:11:23] It is. It is that's a good point. Now do you travel with a dressing gown? Burt Wolder: [00:11:28] Sometimes, sometimes. When I go -- if I know that part of my travels for a weekend there's going to be breakfast the next morning, and my hosts are typically in pajamas and robes when they have breakfast then I'll bring, I'll bring a lightweight dressing gown. Scott Monty: [00:11:49] You know what's interesting I've never tried that. Burt Wolder: [00:11:52] Most of the time you know if it's staying in a nice hotel they'll have a robe or something if you happen to be chilly getting in and out of the bathroom - which I never am - there's usually some sort of robe, but it's not. Now I must admit today with today's heating and climate control it's really really not an issue. Scott Monty: [00:12:07] Well that's it. Yeah but I mean you talk about a dressing gown being too personal. Well even when you're wearing that over your clothes I don't want to put on a hotel robe that someone has perhaps been wearing naked coming out of the shower. It's a little too much for me. Burt Wolder: [00:12:25] Well now you're talking about Mrs. Neville St. Clair again; we should get back on topic. Scott Monty: [00:12:32] Well another theory and this goes goes about from our friend Sidney Blake. He said, well, the obvious solution would be homes owned more than one dressing gown. Over the course of 23 years in practice there. Of course you would have have had more than one. And the blue and purple gowns he said were some of his earlier dressing gowns, and of course we know that Holmes's rooms were set afire by Professor Moriarty in "The Final Problem" with Professor Moriarty's men. So those would have been lost in the fire. And Holmes would have replaced them with the mouse gray one. Burt Wolder: [00:13:13] Right. And our friend Christopher Morley was of the opinion that Holmes dressing gown faded over the years of different colors and Morley himself remembered that when he was a young boy he had a cape-backed overcoat that had been his father's which had been cut down to make a dressing gown for him. And that over the years it had been dyed various colors. And so its palette - its color palette - had changed over the years so he was of the opinion that it had faded from blue to purple to mouth sort of the other way around or had been consciously dyed in the story at various times. Scott Monty: [00:13:55] Yeah. And you know I like that solution as the most elegant of them all because we've all seen whether it's books that are left out in the direct sunlight or furniture or carpeting or even clothing. It does fade over time if exposed to the elements. And I think that that solution is the most simple and most elegant, and in fact Morley was so enamored with that that he turned it into the official colors the Baker Street Irregulars and turned it into the club tie. Burt Wolder: [00:14:34] I agree with you about the simplicity and elegance. But I've always been unhappy that my own theory which is much simpler and much more elegant has not gotten any currency. Scott Monty: [00:14:42] Dare I ask? Burt Wolder: [00:14:44] Well it's clear. Watson was colorblind. Scott Monty: [00:14:48] [LAUGHTER] Oh, boy. So you're trying to tell me that it was actually the Adventure of the Five Red Pips? Burt Wolder: [00:15:03] It could be, it could be. Scott Monty: [00:15:05] And maybe that's the answer: that the carbuncle was not in fact a blue, but red. Burt Wolder: [00:15:12] Exactly right! You know, it's just a trifle. Clive Merrison: [00:15:16] It is of course a trifle but there is nothing so important as trifles. Narrator: [00:15:22] Please join us again next week for another installment of trifles show notes are available on Sherlock Holmes podcast dot com. Please Subscribe to us on iTunes and be sure to check out our longer show I Hear of Sherlock Everywhere where we interview notable Sherlock fans share news and go into even more depth on certain topics. Peter Barkworth: [00:15:44] You take my breath away, Mr. Holmes. Jeremy Brett: [00:15:48] Peculiar. That is the very word. We see glimpses of religion in a number of stories, from plot devices to red herrings, saintly inferences to clever disguises. 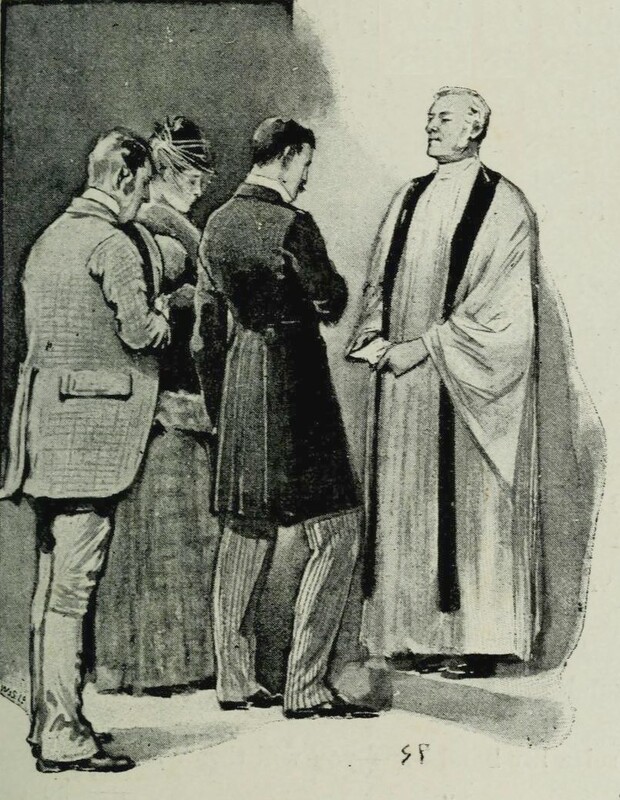 What role did religion play in the Sherlock Holmes stories? And Arthur Conan Doyle's own faith had some bearing on what we see as well. It's a chat about religion, faith, and their multitude of instances in the Canon.